Fractal Universe is a Progressive Death Metal Band from Nancy, France, founded in 2014. Eager to share their music with the world, and after a successful crowdfunding campaign, the band entered the studio in late 2014 to record 4 tracks that would soon become their first release. The band released its first EP “Boundaries of Reality” in February 2015, which no clean singing.com called “a very diverse and interesting take on progressive death metal. It’s fairly groovy, frequently atmospheric, yet always massively heavy and loaded with killer riffs and leads.” The EP also made the site’s critically acclaimed Best of 2015 list this past December. 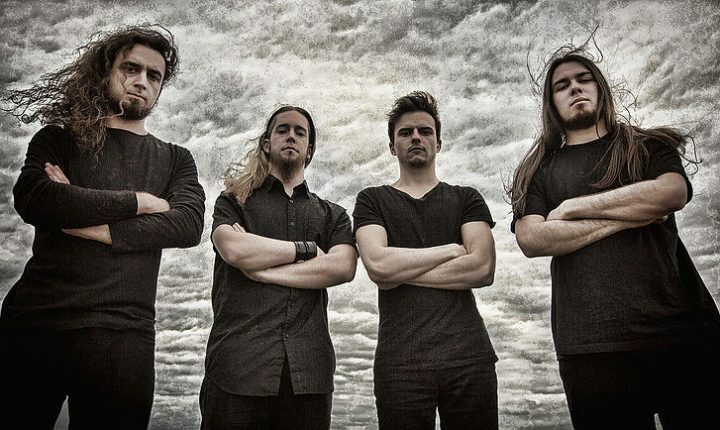 In support of their EP, FRACTAL UNIVERSE kicked off their 2015 “Boundaries of Reality Tour” in February of the same year, performing over 30 shows, though 4 European countries, opening for bands such as The Black Dahlia Murder, God Dethoned and Hideous Divinity. The band have recently re-entered the studio to record its first full length release. Be prepared for what will undoubtedly become Fractal Universe’s magum opus.